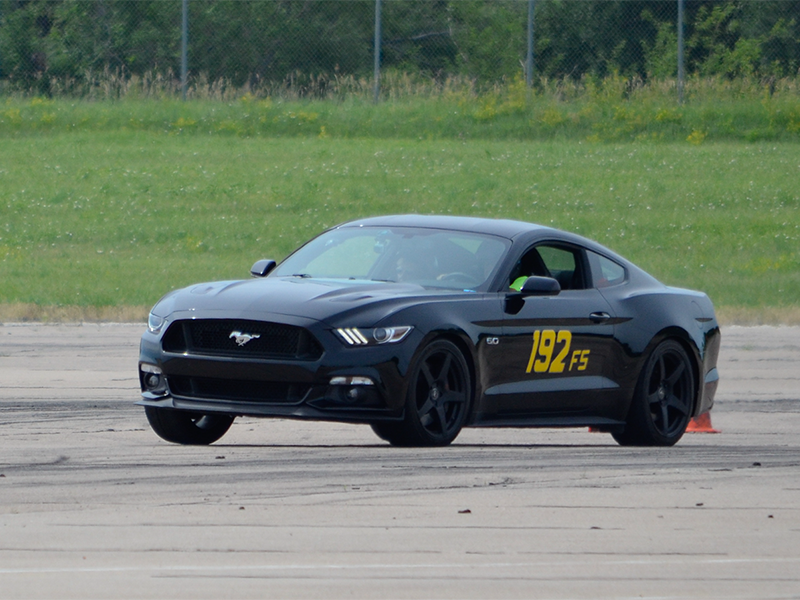 It's been a week since the finish of our first autocross of the 2019 season and it appears to have gone off as a success. For those of us that were involved in the setup and running of the event, that was pleasant news. There were a lot of changes during the off season that introduced a lot of "if" in the plan and a successful event was not a sure thing. However, due to the hard work of the Solo Chairs, the Timing team, and the new version of the Novice program we managed have a great day of autocrossing! Solo #1 Results have been posted. 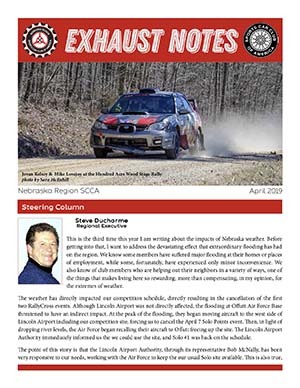 The April issue of Exhaust Notes is on the way. It should be arriving in the mail within the week. Until then, you can read the new issue online. We are eight weeks away from hosting our June 1 Tire Rack Street Survival school. It is coming upon us fast. Please get back to me and let me know what roles you are interested in for the event. If you are wanting to be an in-car coach, please visit the link below and work through the quiz. Even if you helped last year, it is a good refresher. 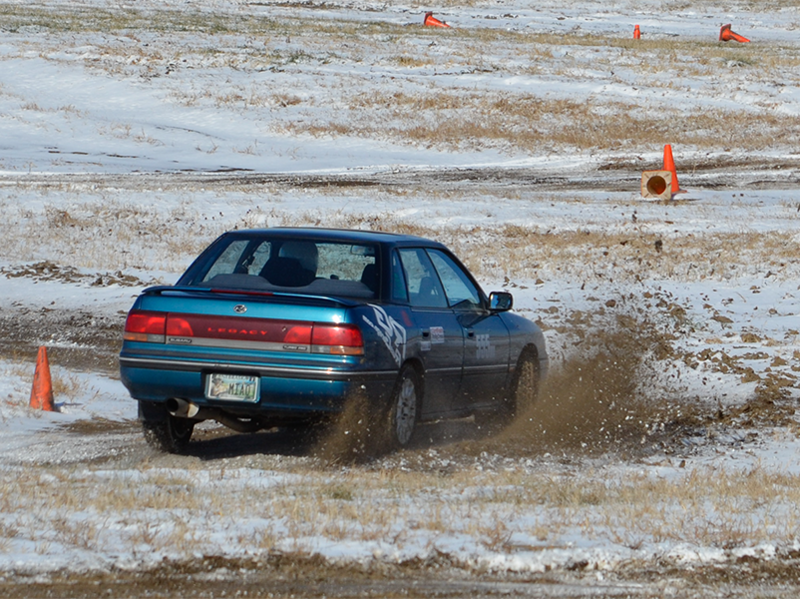 Solo (Autocross) events emphasize a driver's ability and their car's handling characteristics. Speeds are no greater than those encountered on legal highways and city-streets. The combination of competition, concentration, and car feedback creates an adrenaline rushing experience. The fasted single-run time wins! Do you think your skills are top-notch, or do you want to polish your driving technique? If so, Solo is for you. RallyCross is the most widespread and readily accessible form of Sports Car Club of America extreme dirt motorsport. A combination of performance stage rally and autocross, it takes place on an unpaved open lot where, like Solo, the course is delinieated by cones. No convertibles/soft-top vehicles are allowed to participate in RallyCross, and unlike performance stage rally, roll-cages are not required. 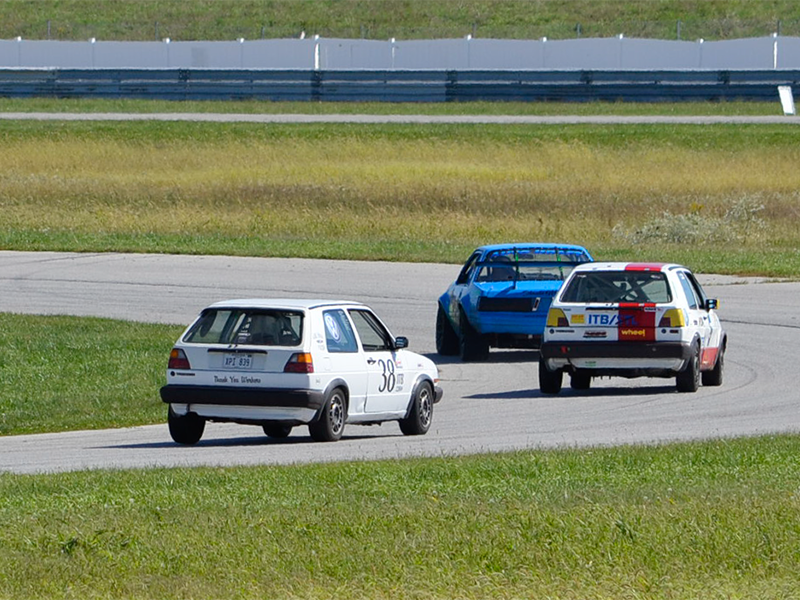 Club Racing is the backbone of the SCCA with a program for almost everyone. 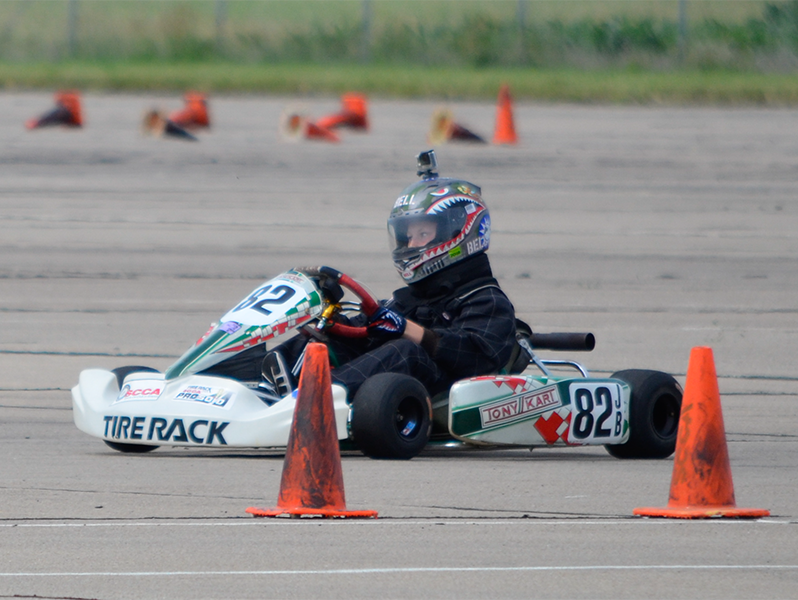 Club Racing offers the opportunity to experience the excitement by climbing into a race car and competing against other amateur drivers or working on a corner within inches of all the action. The Junior Driver Program was started with the philosophy that having children compete at Solo® events would allow families to participate in and enjoy the Solo® experience together. Account creation is for officers only.